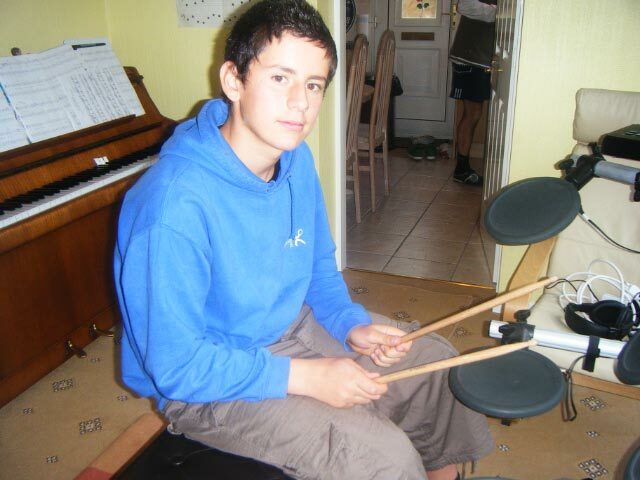 Huw loved George, his drums teacher – he was more than a drums teacher – and the feeling was m utual. George says “I used to look forward to our lessons immensley – not only a joy to teach but a great friend to spend time with. I miss him very much.” George helped to shape Huw’s life in a positive way – regarding music – but also beyond that. Thank you George.